Saucify will take you on a nostalgic trip with this old-school Slots Games reminiscent of Pac-man with a modern twist. 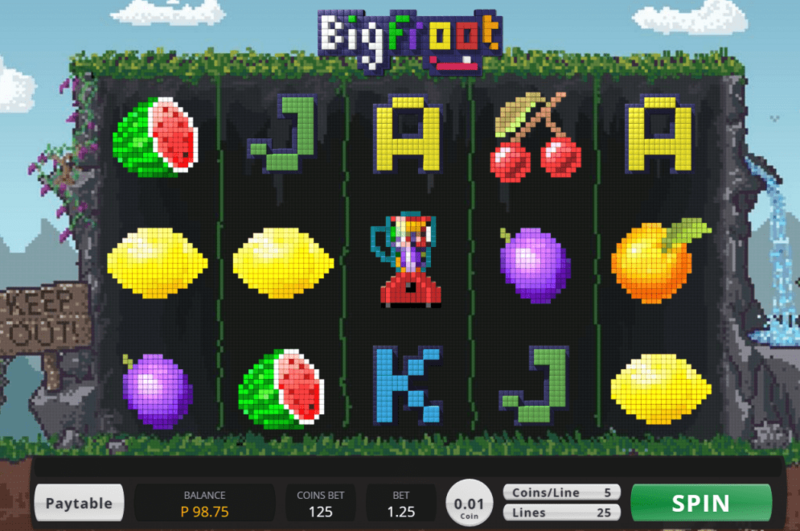 As you play Big Froot, you'll be hit with comforting nostalgia which takes you back to a simpler time when games were rather pixelated. This 5 reel, 25 payline slot features a character you may be familiar with, Bigfoot. Bigfoot will help you win fantastic prizes as he searches through (and eats) all of the fruit to find winning combinations. If you like traditional fruit slots, then you will love to play new online slot at Slotsbaby with a fun twist. Get the best out of our online slot promotions before you play the game! 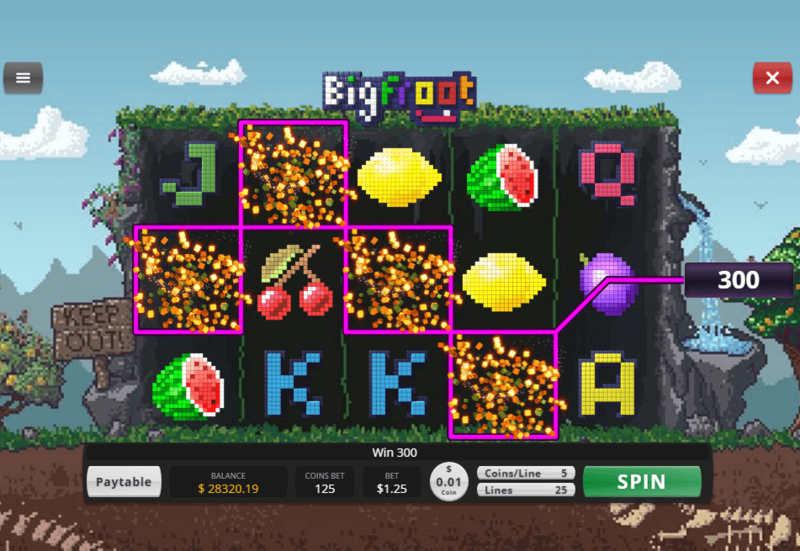 Big Froot is a 5 reel, 25 payline slot which sees the mysterious Bigfoot searching through a grand selection of fruit to find tasty winning combinations. It's a modern spin on a classic fruit slot which as a vintage, Pac-man feel to it. The graphics are fun, bright and pixelated which give it a retro touch. The reels are presented on a typical landscape of where you would expect Bigfoot to be hiding: somewhere in the woods in a cave and surrounded by fruit trees. The reels are filled with delicious fruit symbols such as tangy oranges, a bunch of grapes, a juicy watermelon and a sour lemon. You'll also find a bunch of colourful letters and BigFroot himself. The Wild Symbol - BigFroot is the wild symbol in this game. The wild replaces all other symbols except the scatter and doubles your winnings. The Scatter Symbols - The scatter symbol is the electric blender. If you land 3 or more scatters, you will instantly be awarded with 15 free spins and your payout will be doubled. The other scatter in this slot is the smiley face symbol. No matter where they appear, your current line bet with go up by 50x.